There are a number of issues and problems that need to be dealt with and solved when producing music. This article states my interests, priorities and outlook on production, and is divided into 3 parts in order of significance, though it is always my aim that each of these areas are realised to the full. Overall, I try to take the perspective of a listener to the music. I like to consider someone who hears the music and band for the first time, a fan who already loves the band and their live shows and previous recordings, a reviewer, and a fan who wants to listen to the recording over and over again. I also consider fellow musicians and peers, but this crosses over into new listeners and fans. The main thing that appeals to people is the song. A song is a combination of musical ideas, riffs hooks and rhythms, melodies and lyrics, which together provide a meaningful experience to the listener. For me the goal is to make sure all the musical ideas are comprehensible, working together to make something greater than the parts. To achieve this, there are a number of issues that need to be addressed. The arrangement or structure - making sure sections of the song are ordered for their maximum effect, that the parts don't go on too long and lose the listeners interest. The instrumentation - sometimes also called arrangement, but by this I mean what instruments are playing each section, whether vocal parts are required over instrumental sections. Writing - if there are weaknesses in the song, giving the musicians inspiration and a creative space to rewrite and improve parts that are not working for the song.In practice, this means paying attention both to the overall song and the detailed components of it, and getting a good impression of what the band are trying to say with it (in musical terms, not necessarily lyrical). The song should have emotional power, maybe transport the listener to a new place, and it is vital to have a feel for exactly what the song is trying to do from an early stage in the production process. After the song, the thing that a listener latches on to next is the performances and playing of the song. Each part of the instrumentation has to be played (or programmed and sequenced if appropriate). Each part must be played correctly, but also the groove, tightness and feel of the part is vital. A melody or riff is rarely just a sequence of notes, usually it is a communication with some sentiment behind it, built in when it was written. It is vital that the musicians mange to recreate the sentiment to its best - in some cases performing beyond how it has been played before in order to realise the idea that had only been in the musicians head up till then. The producers job is to recognise when guidance and encouragement is needed, being bold enough to tell the musician so and tactful enough not to destroy their confidence in doing so! As well as making sure that the musicians are excelling, the song must be held in mind at all times, because the performance must also make space for the other musical parts. Songs often contain tiny ideas and hooks, which can easily be lost if not performed appropriately, so the producer must always listen out for these and make sure they are intelligible and working to their best. Most of the music I produce is multitracked, each part is recorded separately rather than live. So the other thing that must be ensured is that the result still sounds live, as if the musicians are interacting organically together. To get great performances, the musician must be comfortable and focused. To aid this, I do my best to make sure that they have a great monitor mix, an inspiring sound of their own instrument, and the right relaxed environment to play in. There are 2 reasons for this - firstly sufficient attention has been paid to performance so every note is loaded with recognisable emotion. Secondly, the overall sound has been crafted to hit you in the appropriate manner for the song and band. As I stated earlier, a great song can transport you to a new place, and part of this atmosphere is created by the sound. The sound of an instrument affects how intelligible the musical part is, how clearly you can hear the performance of the player, and contains the character of the voice. But it is also vital to bare in mind the whole, how the sounds of the different instruments compliment each other, how the sounds will work together for the song. To create detailed and interesting sounds, I firmly believe in getting a great sound at source, which is a combination of good instruments, tuned and set up properly; great performance, for with many instruments the timbre and tone is created by the musician; excellent sound engineering, using appropriate microphones, pre-amps recording equipment and recording techniques. Although I have done 'rescue mixes' of less well recorded material that bands have brought me, and you can get a very satisfying end result, you cant put in the detail that wasn't there to start with. So ideally mixing for me is a matter of balancing the instruments, and subtly compressing and or eq'ing to make sure the instruments make room for each other to create a sonic picture that has the appropriate power to strike the listener, but space to let the performances breathe. Well that's where I am coming from when I work. Depending on the band, I may do work 'behind the scenes', doing what needs to be done, but letting the musicians focus on playing and doing what they know, but acting and guiding on the principals I have described. For other bands, I work on the production with them. It should also be noted that I take an "if it aint broke, don't fix it" approach, I don't want to stick my oar in and change things just for the sake of changing and stamping my ego on, or to change the band into something they are not. I prefer to act as an intensifyer, bringing out what is already there and making sure the band's greatness and strengths can be heard at their best. Dave Chang is a producer/engineer with over 20 years experience working predominantly with rock, metal, punk and ska bands. Dave is easy to work with professionally managing recording projects, providing artistic arrangement, performance and technical advice resulting in a low stress creative environment. He has worked at studios worldwide from project facilities through to Abbey Road. You can see listings of some of his accomplishments on the Releases page of this site. Check out mp3s of a few of the more recent projects with the music player on the home page. Below is a brief biography. 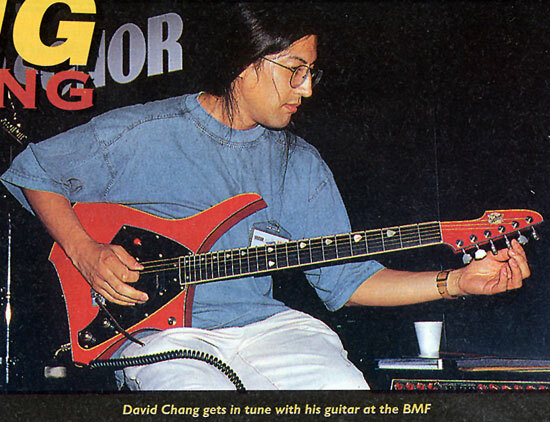 Dave Chang's productions are widely praised by fans and in the music press, and is proud to have produced one of Kerrang's top 100 'Best British Rock Albums of All Time'. He has built up an enviable reputation by giving every project 100% focus and commitment, and his determination to strive for excellence. His vocation in sound recording started with an interest in hi-fi, rock & pop music & guitaring. He finished school with a science background, and went on to study Philosophy at Nottingham University (UK). Dave's interests lead him to get involved with the PA company and the local radio at university where he learnt the rudiments of sound reinforcement, reproduction, broadcast & recording equipment. Dave worked with Rog Patterson (then of touring Prog Folk band 'Twice Bitten', later tour managing company director for the likes of Rage Against The Machine, Skunk Anansie and Terrorvision) with recording, setting up a mobile recording studio (8 track Fostex based). He recorded Pendragon's '9:15' live album at the Marquee in London. Dave formed a band called I2BF, which played rock pastiches around the country on the alternative cabaret circuit of the time. Dave played guitar, wrote songs and added additional vocals. Dave established 'The Canning Factory' recording and rehearsal studios in Canning Circus, Nottingham. He designed and installed sound proofing and acoustic treatment to live areas and control room. Successes there including recording the demo for Alex Newport's 'Fudge Tunnel' that got them signed to Earache Records. Met Andy Sneap of Sabbat when Rog was tour managing them. Also engineered for John 'Rabbit' Bundrick (keyboards for The Who, Roger Waters, Free, Bob Marley and many many more) at his own studio, and did some live sound work with ESS - a midlands based PA company. Formed an alternative rock band with Kevin Pacey called 'Oddball'. Demand for Dave's recording services were increasing rapidly at this time and he had to leave the band. Dave also put his knowledge of guitar to good use by designing an electric guitar for a competition run by Hohner and Making Music magazine. The quality and understanding in the design secured a win, and Hohner custom built the guitar for him. Dave moved on to House Engineer at Square Centre Studios, Nottingham (24 track 2 inch with fully automated large format Amek Mozart desk & loads of vintage and valve outboard). Here he worked with a wide range of artists and musical styles including soul, funk, pop, rock, Salvation Army Brass Band and The Nottingham School of Samba. He also had the opportunity to work with great producers like Pete Jones, Steve Lovell, Colin Richardson, Nick Robins, Roger Lyons, Robin Taylor-Firth, Mark Tolle, as well as in-house producer/engineers John Crossley, Karl Junger and Ric Peat. Also met & recorded Owen Packard and Joe Roberts, then of Warpspasm, later of Blastcage and Earthtone9. Produced Orange Goblin and Hangnail (for Rise Above records), and engineered Acrimony (produced Andy Sneap), Liberty 37 (produced Colin Richardson), Olive (produced Roger Lyons) and Phil Chevron (produced Nick Robins) at Square Centre Studios. Dave also worked at Revolver Studios in Wolverhampton during this period. There was increasing demand for Dave's production services in his own right, in addition to working as a house engineer. Dave met up with Andy Sneap again, who had built his own studio called Backstage Studios, then a 24 track ADAT/Mackie based studio. Started producing at Backstage. 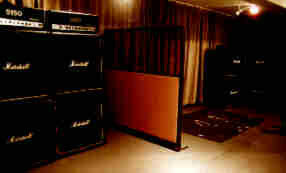 This environment suited many of the punk and metal bands since it was less intimidating and more efficient than larger studios. The studio has since expanded to a larger Pro Tools based facility. Stampin' Ground, Linea77, Charger, Freebase, Knuckledust, Slave Arc, Canvas, Withdrawn, Dagobah, 3rd Stone & Earthtone9 were produced & recorded at Backstage. Dave also had the chance to meet Jamie Locke at Normandy Studios in Rhode Island, USA during the Stampin' Ground 'An Expression of Repressed Violence' project. Copro Records signed Earthtone9, and decided that their demos from Backstage should be released, combined with 3 new tracks. Dave was commissioned to produce these at their affiliated studio, Philia Studios. This led to a productive relationship with the studio and the label, and the recording of Earthtone9's 'Off Kilter', CapDown's 'Pound For The Sound', Johnny truant, Panic Cell, Miocene, Desecration, Snub, GF93 (from Italy). The studio has grown to a Pro Tools HD3 system which includes the country's first Focusrite Control24 Desk. Dave is freelance and works at studios across the world. Many of the studios Dave has worked at are detailed on the 'Studios' page of this website, and include Andy Sneap's Backstage Studios in Derbyshire. Red House in Italy and Abbey Road in London, UK. 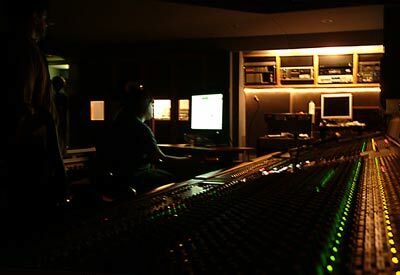 He is happy working in any studio as long as it provides the facilities and equipment needed for the project. Dave is currently working a lot with Whitehouse studios in Reading UK which offers a great recording facility at a competitive price. Dave is based in a village near Reading, UK. Dave is continuing to develop his musical and technical skills to give the best service possible. Musically Dave is always developing his guitar skills and for the past few years has been working on singing and keyboard skills too. Most of Dave's production work is now done in the digital domain with Pro Tools.because you can achieve a production level for a fraction of the time and cost it takes on analogue. The digital revolution in audio recording has also allowed for more flexible approaches to recording to be used. 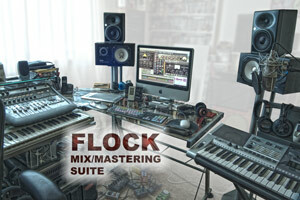 Dave can now mix and master at his own Flock Studio. As digital recording becomes increasingly cheaper and more prevalent, musicians and artists are realising more and more how important the people behind the equipment are. Dave's experience in recording and working with bands means he has the knowledge to help plan the best and way to record a project, and looking at new ways to organise sessions. A recent project was recorded in Italy (at Red House Studios in Sennegalia), edited from home and mixed in the UK. 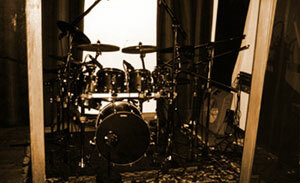 Some projects are partly recorded by the bands themselves. Dave also provides mixing and mastering services. For further history please check out reviews and reviews. 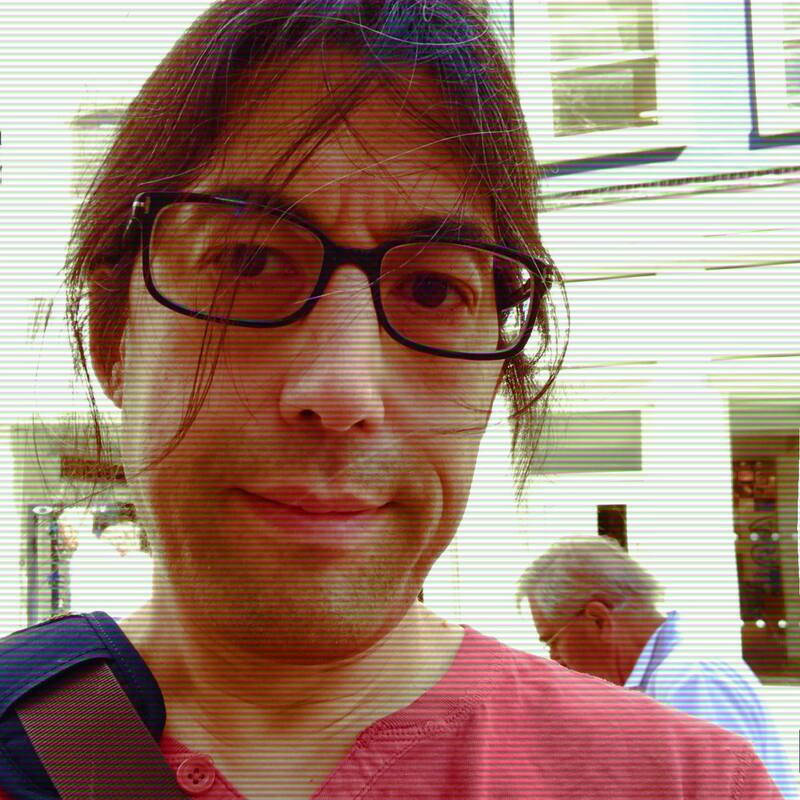 If you wish to contact Dave to discuss a project for your band or label, please send a message here: contact.